Headphones might be the gift that you can get nearly anyone on your list. From sports to comfort; there are different headphones for different needs. These headphones are one of the most customizable out there. With the indestructible (and customizable) headband you’re Sol Republic’s will last a lifetime. The V8 Sound Engines (cans) deliver great bass without distortion. You can mix and match the cables to fit your mood. Not to mention that comfort of the headband. You might forget you have these on. You can really make these headphones your own. You can get the headband and cable in up to eight different colors. These stylish headphones is for the lady on your list that switches headphones like stylish shoes. Not only do the Monster Diamond Tears look extremely stylish, they have Monster quality and sound. The phones have clarity and perfection just like diamonds. These on ear headphones are great for commuting and just hanging out listening to music. A great mix of comfort and style; the Monster Diamond Tears are a great set of stylish technology. It’s highly unlikely that you heard of the Australian company Audiofly. Let me be the one to put you on to their awesome line of headphones. I was lucky enough to review the AF56 in ear headphones. While their look may be vintage; their technology is not. You get more than bass with this pair; you get a very clear sound. You will be surprised how loud the AF56 are. The greatest thing about these is that you never lose sound quality no matter how loud you turn up your music. Most sports headphones out there sacrifice sound quality for durability and special design. Monster known for their quality sound in headphones came up with a solution for this. The Monster iSports is the phone for athletes; both full blown fitness freaks and light exercisers. These waterproof headphones offer the solution for those whose headphones always fall out of their ears when working out. Ugh, is that annoying! The omni-tip swivel nozzle will keep those headphones in place. These headphones have incredible bass. They kept me pumped. I have used these multiple times. Comfort and utility; you won’t be disappointed. These are a little higher priced. These headphones have it all from looks to quality. The design on the C5 is unique due to the “Secure Loop”. The secure loop allows for the bud to fit in deeply and comfortably in your ear. The loop is in your inner ear as opposed to the outer ear. 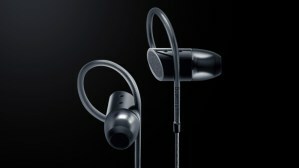 The C5’s have a realistic, and natural flowing sound. These headphones are for those who need a very secure fit to enjoy their music. The adjustable secure loop allows for deep, and comfy fit for hours of listening pleasure. 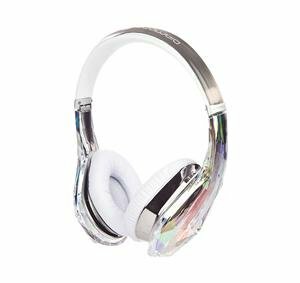 These stylish over the ear headphones are environmentally friendly (With materials such as durable canvas, recyclable aluminum, stainless steel, and bamboo fiber). You’ll definitely turn heads with the noise isolating aviator style headphones. These headphones give crisp detail and good bass. 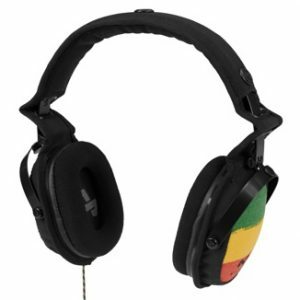 You can feel good about gifting these headphones because it supports the 1Love organization. Most of our devices have Bluetooth capabilities. It’s a standard quality on nearly all media players and phones. 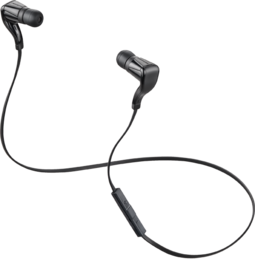 For those on your list that enjoy being wireless; I suggest you get them the BackBeat Go stereo Bluetooth headset from Plantronics. This sound-isolating set allows for ultimate mobility with wireless Bluetooth technology. You can take calls and manage your music all from the headset. The P2i technology allows you to use these in the rain, snow or during a sweat session. Compact and light; you can carry the BackBeat Go headset anywhere to enjoy music wirelessly.